RSVP Required. Please join us for a fertility preservation information session led by Dr. Sonya Kashyap. This session will cover the medical and practical aspects of freezing eggs and provide attendees with the opportunity to ask individual questions in a casual atmosphere. Learn about the benefits of freezing, how the process works and who makes a good candidate. RSVP Required - rsvp@genesis-fertility.com Please join us for a fertility preservation information session led by Dr. Sonya Kashyap. This session will cover the medical and practical aspects of freezing eggs and provide attendees with the opportunity to ask individual questions in a casual atmosphere. Learn about the benefits of freezing, how the process works and who makes a good candidate. Please join us for a fertility preservation information session led by Dr. Kashyap. This session will cover the medical and practical aspects of freezing eggs and provide attendees with the opportunity to ask individual questions in a casual atmosphere. Learn about the benefits of freezing, how the process works and who makes a good candidate. The event is free to attend; however, space is limited, and reservations are required. Please email RSVP to rsvp@genesis-fertility.com. 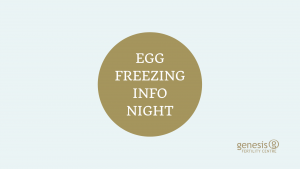 Please join us for an egg freezing information session led by Dr. Kashyap. 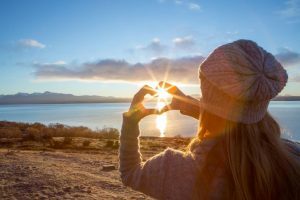 This session will cover the medical and practical aspects of freezing eggs and provide attendees with the opportunity to ask individual questions in a casual atmosphere. Learn about the benefits of freezing, how the process works and who makes a good candidate. The event is free to attend; however, space is limited, and reservations are required. Please email RSVP to rsvp@genesis-fertility.com.